With easy access to the Cape Cod Rail Trail, Ocean Edge is a biker’s paradise. Plot your route, rent one of our Freedom Flyer bikes, and pedal your way across 26 miles of spectacular scenery. Rental shops are located on both sides of the resort. Bay Pines Bike Shop: 8:00 a.m. – 6:00 p.m.
Britterige Village Bike Shop: Closed for the season. During the offseason, when weather permits, bike rentals are available upon request. Helmets are included with all rentals and are required by Massachusetts law for all riders under 16 years old. Ocean Edge Club Members receive a 15 percent discount on bike rentals with presentation of a membership card. 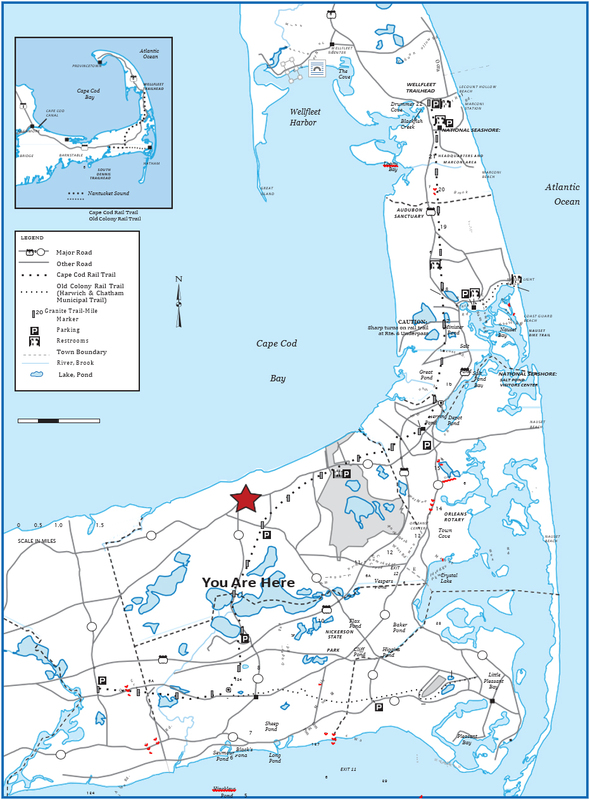 Cape Cod Bike and Rail Trail: Winding 26 miles through some of the Cape’s most splendid sights, this historic trail is a haven for bikers, walkers, and joggers. From The Villages: Follow Villages Drive down the hill as if you are exiting the property on the Route 6A side. Pass the guard shack on the left and look for a sign to the bike path.